It’s almost here: the one day of the year we have permission to eat chocolate with abandon. And what could be better than pairing truffles, the most decadent chocolate experience there is, with a wonderful glass of wine? So, whether you’re happily coupled, having a girl’s night out, or maybe even an anti-Valentine’s party, go beyond the predictable on February 14th. Pairing wine with chocolate is a time-honored tradition. Here are some of our favorite ways they can complement each other…. Champagne and chocolate: pair a luxurious milk chocolate truffle with a dry champagne. Any sparkling wine with minerality would play against the creaminess. Of course, there’s no such thing as too much Champagne, so pair your favorite with Champagne truffles—there are many out there and La Maison du Chocolat offers the finest. Though we love chocolate covered strawberries, splash out with another kind of fruit, such as the double chocolate figs or apricots from Fran’s with a dry sparkler or Chardonnay. Dark chocolate truffles balance wonderfully with a fruit forward red or rosé wine. K Truffles— triple dark—are a signature at Diane Krön’s Beverly Hills & Santa Monica shops, to pair with a New World Pinot Noir or a Cabernet. Salted truffles can stand up to a robust Tuscan or South American red. If your Valentine is a man, gift him with a Mo’s Chocolate Bacon Bar from Vosges and a bottle of red! Many purveyors offer a spin on fiery chili-laced chocolate. Pair with a wine you already love with Mexican food, or try a crisp Sauvignon Blanc, Pinot Grigio/Gris or Albariño. If spice is your thing, Vosges specializes in exotic truffles seasoned with curry and paprika, among many others. Enjoy these with a Riesling or a demi-sec Vouvray, and if you love Japanese, sake with a wasabi truffle. Vosges also offers their own wine/chocolate pairing gifts, but it’s more fun to create your own. 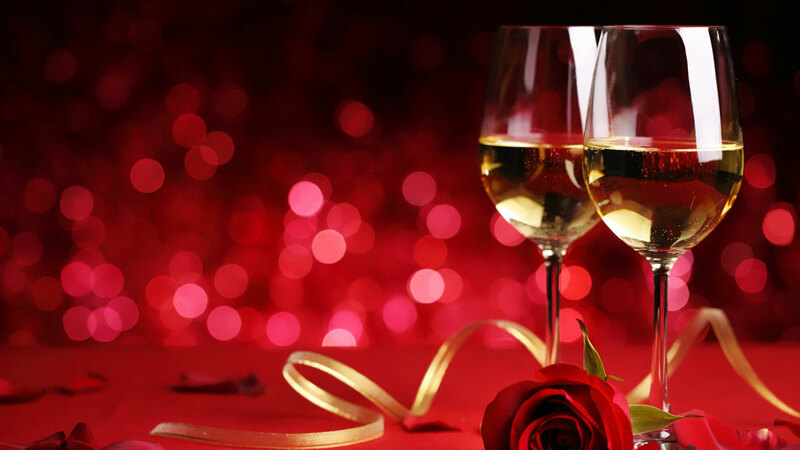 You know what you like in wine and in chocolate, so experiment, host a wine & chocolate tasting party, and find brilliant combinations to enjoy on Valentine’s and whenever you celebrate or need a lift through the year! Nancy, I love Kron. You can now order online but when you go to the shop she gives you lots of samples (treats!) like a little jewel box of pleasure!